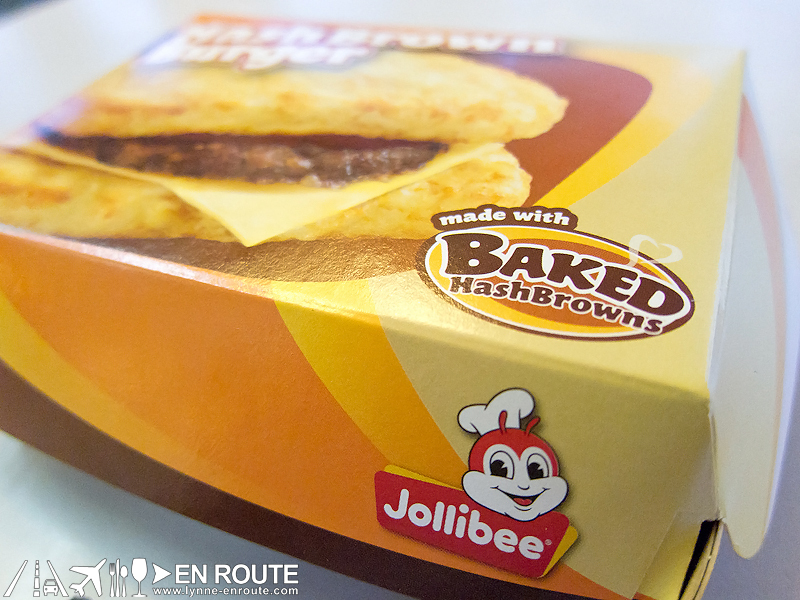 But seriously, if this is the end product of a makeover, we are totally loving the new look of the Jollibee burger! A simple yet genius of an idea. 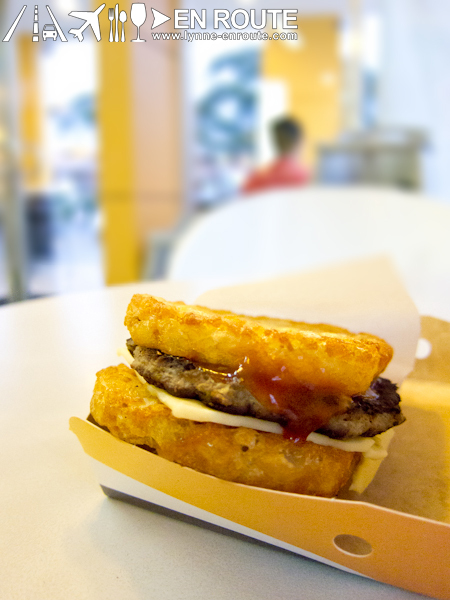 For just Php64 ala carte or Php80 with a drink, it can easily go on our list of cheap thrills. 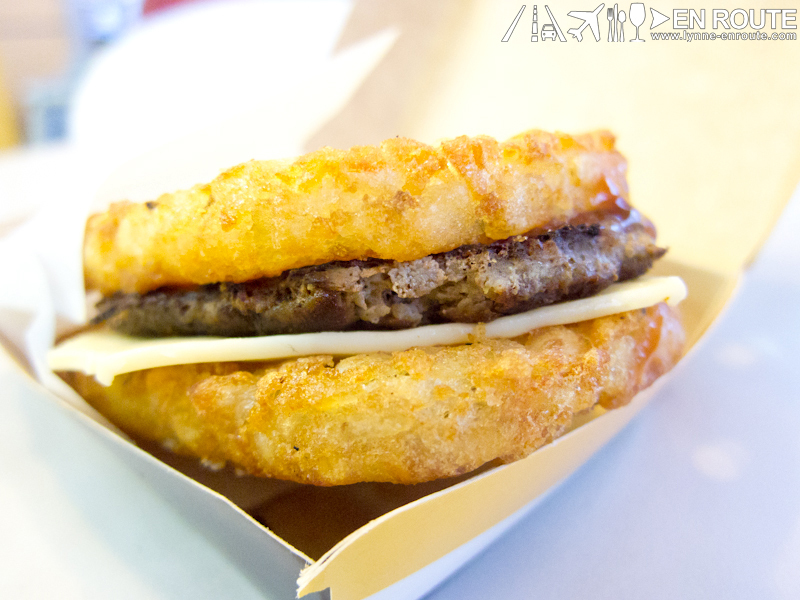 For weight-watchers, their packaging clearly states that they bake the hash browns so that means it’s less calorific (although we’d question why you’d choose fastfood if you were a healthy eater…hmmm). Actual consumption can attest that it wasn’t an oily meal. If it was, the paper wrapper would have been soaked easily. See our other finds by joining us on Facebook! !